Delaware resident Denise Martin received the endorsement of the Delaware County Republican Party Central Committee during the party’s full meeting last week. Martin is seeking the Republican nomination for state representative in the 67th House District. Powell City council member Brian Lorenz will face Martin in the May 8 primary election. Due to term limits, current State Rep. Andrew Brenner, R-Powell, is unable to seek a fifth term in 2018. He is running for the 19th District seat in the Ohio Senate. 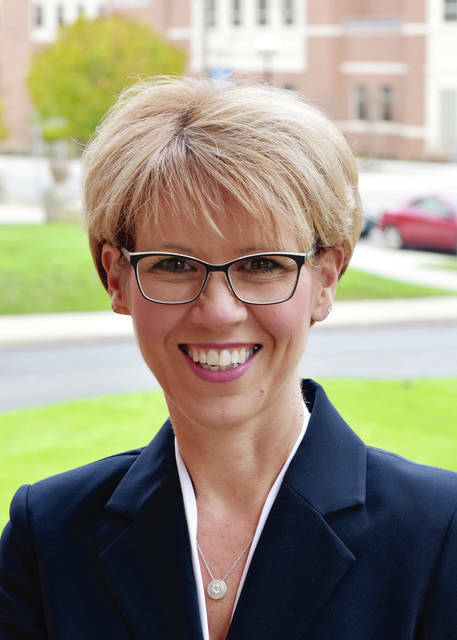 Martin currently serves as court administrator of the Delaware County Domestic Relations Court and previously worked as an assistant prosecutor for the Marion County Prosecutor’s Office for eight years. The 67th Ohio House district is comprised of the western portion of Delaware County, including Delaware, Lewis Center and Powell. State Rep. Rick Carfagna was endorsed for re-election as the 68th District representative in Ohio House. The 68th District includes the eastern half of Delaware County and all of Knox County. The Delaware County GOP also endorsed the following candidates during its meeting: incumbent Barb Lewis for county commissioner; incumbent George Kaitsa for county auditor; incumbent Judge John W. Wise for the Fifth District Court of Appeals; Jim Schuck for Delaware County Common Pleas Court; Fred Dailey for State Central Committee; and Teri Morgan for State Central Committee.